I read that you can fit a BMW V12 from a 850 in a e24 chassis what else would fit with little to no modifications as far as BMW engines from later years? raffi91 wrote: I read that you can fit a BMW V12 from a 850 in a e24 chassis what else would fit with little to no modifications as far as BMW engines from later years? OMG. What a beast. And no room to spare in the engine bay I thought my S38 filled the bay pretty well. Sheesh. Wonder what it's like to drive. How does the weight on that engine compare, I wonder? Curious if it turns into a nose heavy tank? I don't care for lead sleds. shazbot ,are you considering a swap or just curious ? The M70 is old technology. It takes a lot of money to maintain. While a marvel of technology for its time, its was Bmw's first attempt at a V-12. Most parts a V-12 specific and as such, they cost a lot of money. There is much more support for the M30 (performance and maintenance) even though its older. The M60/M62 are great v-8's bu they come with a hole slew of problems: Nikasil, Vanos failure.... Fact is, you don't see all that many 200k+ miles v-8's because they were at the beginning of the development stage (so to speak) in comparison to the M30's or even the s38's. For the average DIYer this really isn't feasible unless you have superior tools, workspace and a lot of patience. Off the top of my head, I'd say you'd be looking at a minimum of $3000-$4000 just to get the motor to fit and function correctly. And once you get everything to fit just right you're still left with a used motor. the m70 is pretty bulletproof. everyone knocks it but its been said that every red blooded car enthusiast should own a 12 cylinder car once in his life. The harness integration will kill you on them though. ive honestly seen quite a few 200K+ m62's. The alloy block cars had their problems, at this point though theyve been shredded or replaced with fresh motors. its a compact, lightweight motor. your biggest issue is getting the bellhosung to go with a 5 speed, or spending the coin for a 6 speed. its at the point where theyre available for reasonable money, doing the harness is the biggest part of the equation, otherwise you have a lighter motor and a nice v8 rumble. Every car/motor has its problems, but at this point in the game, why not try something different? 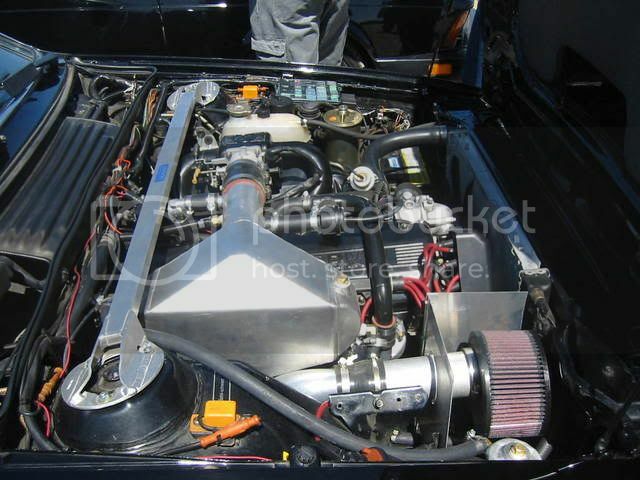 check out the M70 engined car in the for sale section. a bigger, better M30 is an obvious choice. Hey Brucey...thanks! Someonce once said to put a 540i engine in it. ever heard of someone doing that? I'm a casual driver at the end of the day, but my mechanic keeps saying that if your going to change the engine, since swapping is the hardest part, put the best one if you can instead of just putting in a better M30. I think i asked this awhile back but the best m30 would be out of an '92 735? sixermanny wrote: Hey Brucey...thanks! Someonce once said to put a 540i engine in it. ever heard of someone doing that? I'm a casual driver at the end of the day, but my mechanic keeps saying that if your going to change the engine, since swapping is the hardest part, put the best one if you can instead of just putting in a better M30. I think i asked this awhile back but the best m30 would be out of an '92 735? 1) Throw in an M30b35. I've seen a couple of SC'd big sixes but most of the projects never make it off the ground. Turbos are far more fun anyway. There was a member here who had a S/C'd e24. The biggest problem comes from trying to find a place to mount the thing. thesixerkid wrote: There was a member here who had a S/C'd e24. The biggest problem comes from trying to find a place to mount the thing. Especially if you intend to keep AC. Cant remember where i found this but this is the only SC set up ive seen on a e24. Good God thats a mess! O ya! look at that custom inlet for the SC. I hope those welds are strong enough.